Frank Angel speaking at the Coalition to Preserve LA’s press conference at the Sunset Gordon (5929 Sunset Blvd. 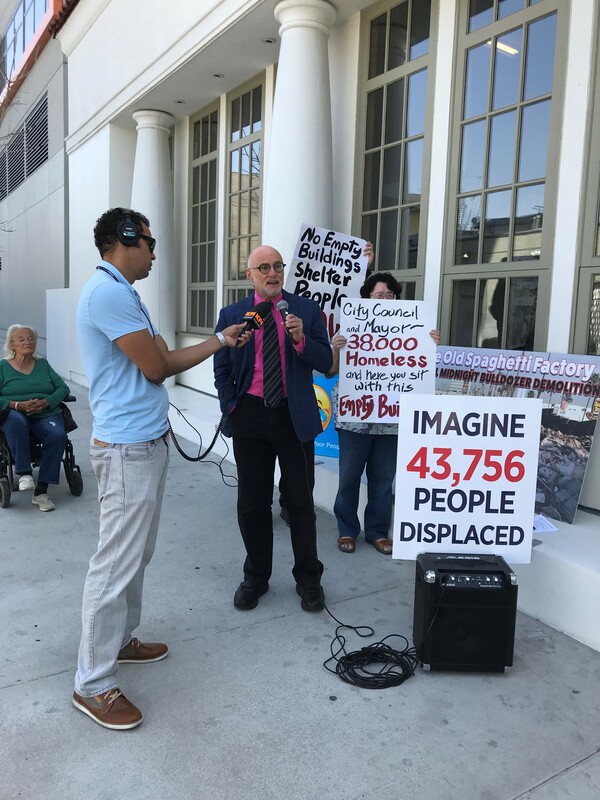 ), supporting the Coalition’s demand that the city of Los Angeles acquire the vacant 300-unit Sunset Gordon apartment complex by eminent domain to provide housing for Hollywood’s elderly homeless. Many of Hollywood’s elderly wouldn’t be bereft of proper shelter today if it wasn’t for gentrification and housing displacement run amok, fueled by development priorities born in city hall’s corrupt culture of behind-the-scenes deal-making with the highest campaign contribution bidders. Angel Law represents HERO (Hollywoodians Encouraging Rental Opportunities) in a CEQA lawsuit challenging the LA City Council’s approval of the conversion of 18 rent-stabilized apartment units at 1850 North Cherokee to upscale boutique hotel guest units. Like 1850 North Cherokee, 5929 Sunset sits empty while the number of homeless in the 13th Council District approaches 3,500. 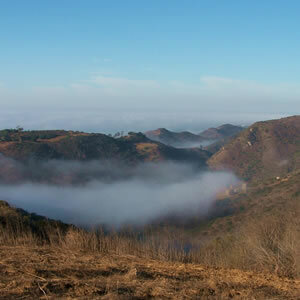 Angel Law sued the City of Malibu on behalf of a local preservation association and won a court order directing the city to rescind illegal upzoning that would have marred scenic quality and serenity in Solstice Canyon Park.